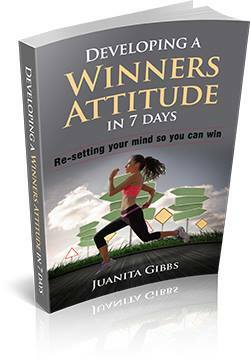 It was a v ery hard struggle to birth this book Developing a Winner’s Attitude. I have never in my life felt that I could win at nothing. I wasn’t just a person that always walked in defeat but I also, had the attitude of a loser. One morning God placed the title in my heart, and through much obstacles, here it is! MANIFESTATION!! I will… in this book, walk you through the necessary steps that you need to develop what is on the inside of you. Maybe you may not have a book on the inside of you, but there is something that you are suppose to be doing. I am able to help you push that baby out. I am willing to work with you one on one with this. Click on the book below to find out more information on how to obtain your very own copy of my book!